What lead us to the point? Why would we willing sell all our belongings and move to Latvia? As you will see this decision was not made on a whim. Over the past 10+ years, God has been guiding and refining us for this moment. We look forward to sharing this journey with you through a pictorial timeline. Tim served in Tijuana, Mexico with his high school youth group, helping run a VBS and reaching out to older youth through sports. 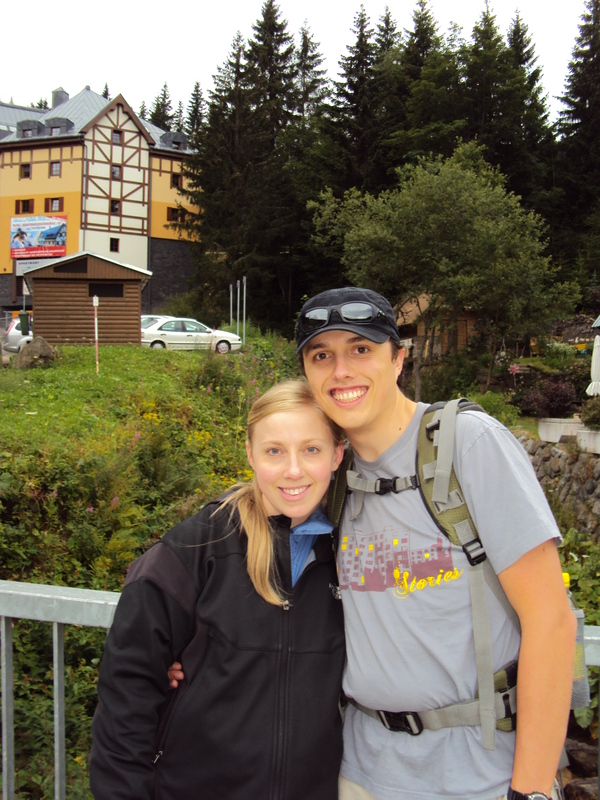 God used this trip to expand Tim’s view of God’s work in the world, and began to shape his desire for youth ministry. Mary served at an English Camp with a group from her church. 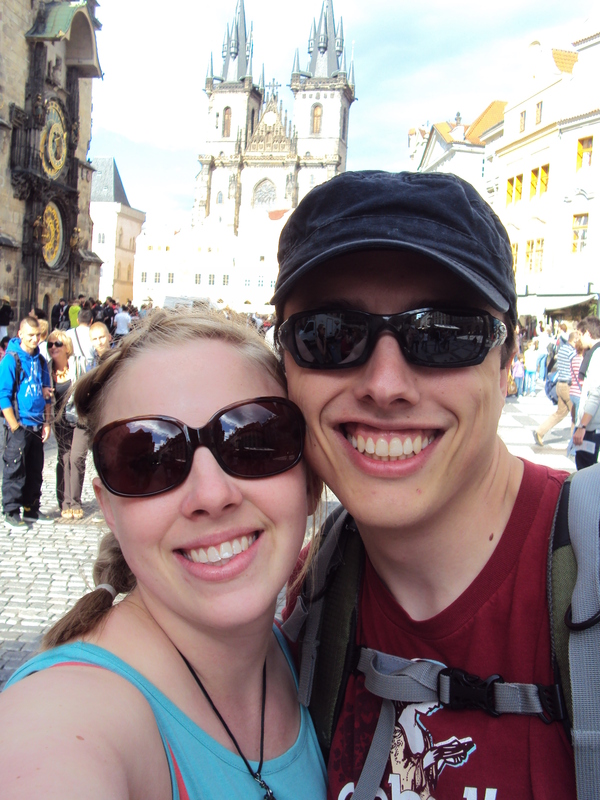 God used this trip to open her eyes to the need in Eastern Europe. She was amazed to reach out to students her own age who had never heard the Gospel. During this trip, God put a desire in Mary’s heart to work as a career missionary. Mary served at another English Camp this year. She was really impacted as she interacted with full time Josiah Venture missionaries and interns. 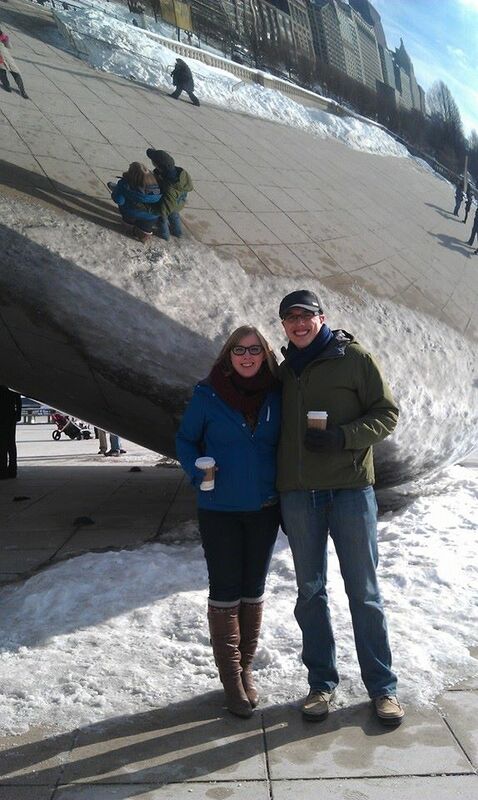 During this trip she started considering Josiah Venture as an option for full time missions after college. She also decided to apply to be a summer intern. *Unfortunately, there is no digital evidence of Mary serving in Slovenia in 2004, and in the Czech Republic in 2005. If one her friends happen to have a picture on their computer and would like to share that in comment on our blog that would be fantastic. Mary served with her best friend Lindy as a summer intern in Slovenia. Over the course of her three month stint, she enjoyed investing in students through mentoring and being involved with three outreach camps. She got a better idea of what life would be like as a longer term missionary. On her second internship, after graduating from Corban College, Mary learned a lot about depending on the Lord in the unknown. She also built a lot of relationships and helped organize several camps. After graduating from Corban College, as an intern, Tim enjoyed building relationships with unbelievers and seeing them take steps towards Christ at camp. He was also encouraged by seeing national believers step out in faith by sharing Christ with their peers. He also was able to experience ministry with Josiah Venture after having heard about it from Mary. His eyes were opened to the need of spreading the Gospel in Central and Eastern Europe and continued to feel drawn toward youth ministry. As a newly married couple, we were able to help lead a team from Salem Heights church to put on an English Camp. 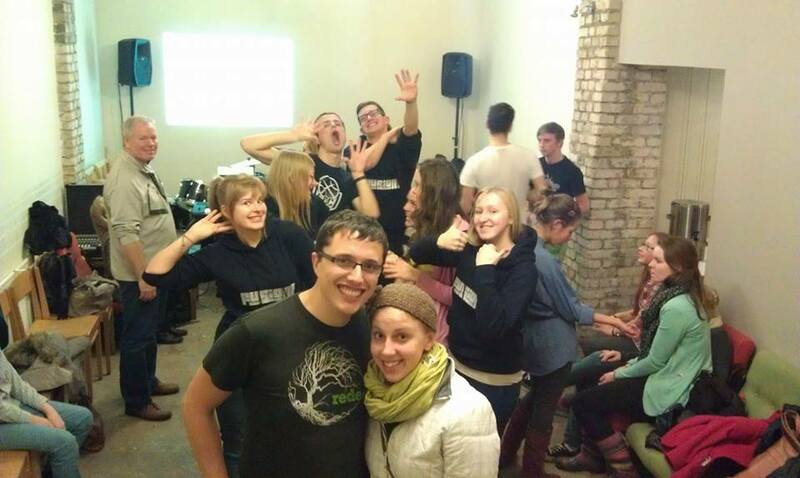 We were excited to be able to train and encourage students to be involved in what God is doing in Eastern Europe. It was rewarding to see others develop a heart for this part of the world and a desire to see students come to Christ. We were very excited to see the ways God was connecting our church in Salem to Josiah Venture. Serving again with Salem Heights, we had the opportunity to reconnect with students from the previous year. On this trip, we started inquiring about what it might look like for us to serve full time with Josiah Venture. Would we be in Slovenia? Czech? Somewhere else? This year we were able to see both our church and our partner church take on more responsibility as we did camp without JV Interns. We were very proud of our team. 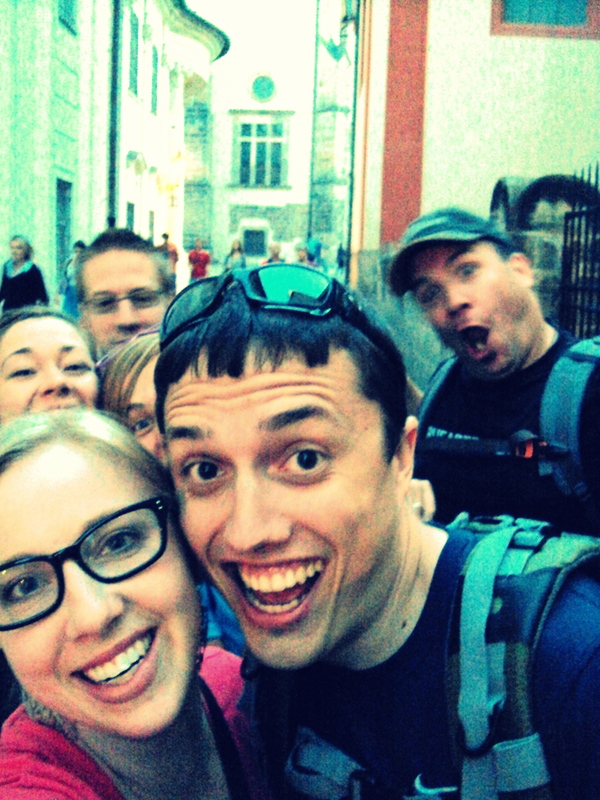 One this trip, we sat down with full time JV staff and talked about applying to serve in Czech. After various conversations throughout the rest of that year with both JV staff and our pastors, we began to work through where God might be leading us to serve. After a few closed doors in both Slovenia and Czech, we felt that God was calling us to start the application process with Josiah Venture without knowing where. In January of 2013, we were asked to consider Latvia and began talking to the country leaders there. We were really excited to hear how God is working in Latvia and we decided to visit in October to see it for ourselves. While in Latvia, we were deeply impacted by the eagerness of the staff and churches to continue to reach out to lost youth. We felt that God had placed us on just the right team where we could use our gifts and experiences to help further his Kingdom. We were especially excited to hear about opportunities to continue to work with churches to host outreach camps and be involved in a weekly outreach through music. After returning from our trip, we completed the long application with Josiah Venture and were accepted as part of the Josiah Venture Latvia team in January 2014. We are very blessed to see God’s hand over the last ten years of our lives, growing us and leading us to this point. 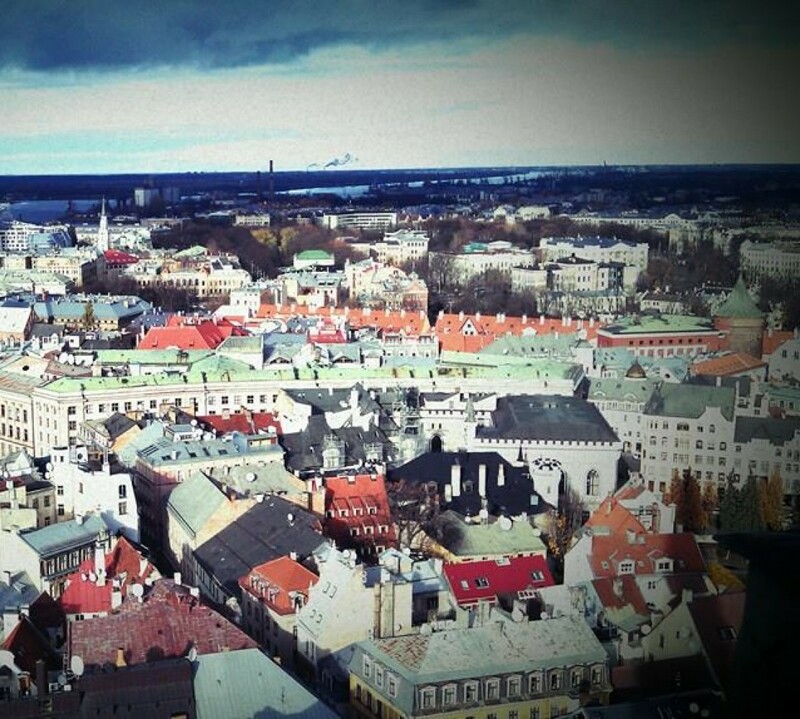 We are now in the process of raising up a support team so that we can move to Latvia in January 2015. Before then, we will be welcoming a brand new addition to our family in September. We are excited for the opportunity God has given our growing family to boldly step out in faith and serve Him in Latvia. And this is just the beginning! Be expecting more updates from us along the way.